Feeds two (hungry) people. Not all ingredients below were used at once! 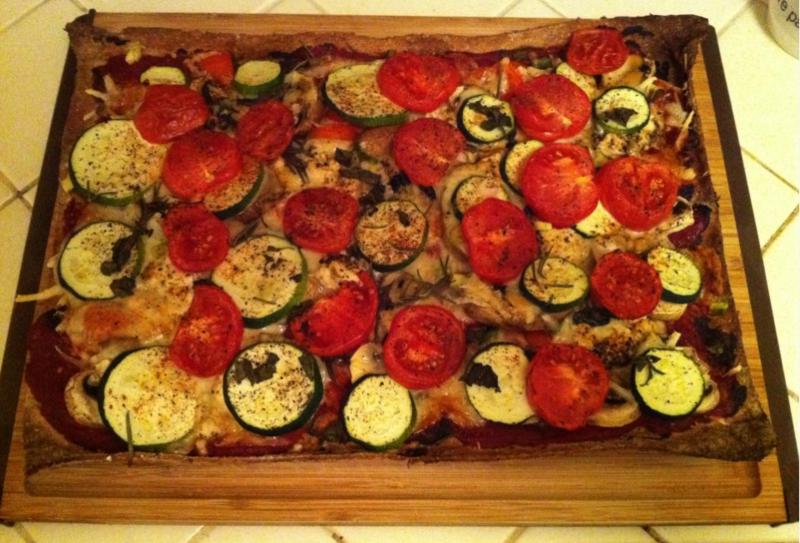 Pizza – Zucchini, herbs, mushrooms & tomatoes .